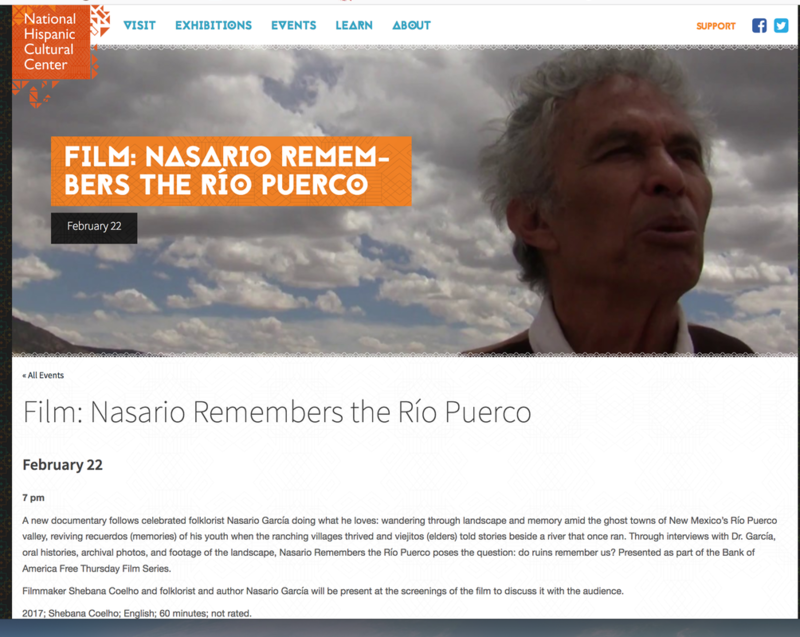 The New Mexico History Museum was delighted to host a screening of Nasario remembers the Rio Puerco last fall. 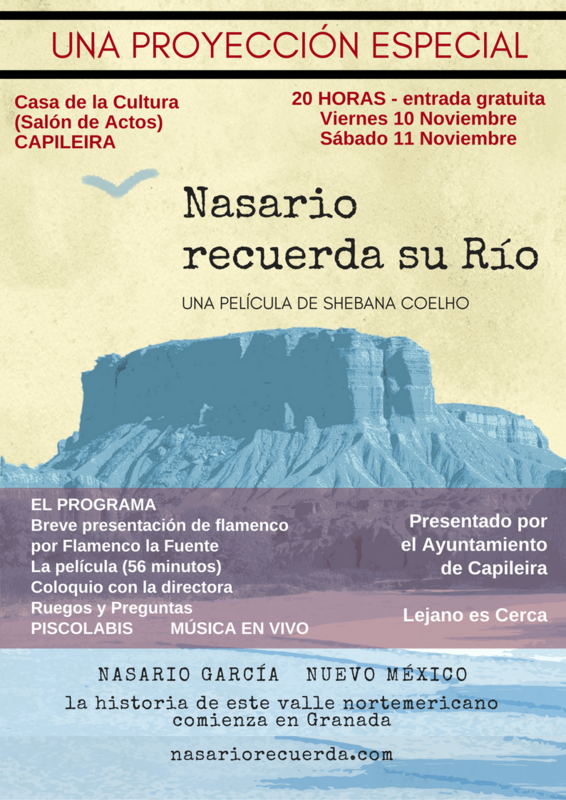 The audience responded enthusiastically to Nasario’s stories and memories that successfully evoke a time and sense of place. A wonderful documentary...very moving. Just exquisite and very powerful... It's right up there with the best I've ever seen." Detailed directions and photos at the website at the Sandoval County Historical Society. At the NHCC's Bank of America Theatre, 1701 4th St SW, Albuquerque. 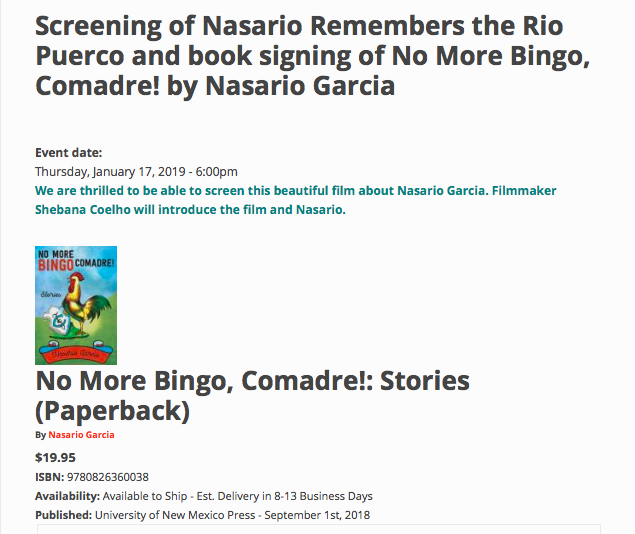 Folklorist and author Nasario García and director Shebana Coelho will be present at the Q&A that follows the screening. Read a blog entry and see video testimonials from the screening. We're so happy to be working with Alicia Perez Padron whose enthusiasm sparked this screening and made it happen! Last summer, Alicia - inspired by an existing project in Extremadura called Tejiendo La Calle, organized an inter-generational group of women to come together to knit weave quilt beautiful decorations for the town's streets using recycled plastic bags - reanimating an old tradition and bringing craft, story and song together. Here's a video about Eco Decora Capileira, produced by Virtual Travel Productions. Set in the ancient Moorish village of Capileira, the Flamenco school 'Centro Flamenco La Fuente' offers a once in a lifetime experience: authentic and inspirational Flamenco dance courses in a purpose-built studio surrounded by stunning mountain views and a tranquil village atmosphere with international flair. Co-directors Cristina Serrano Paz & Paula Moreno teach with patience and inspiration, bringing everyone into the heart of the dance. Both screenings have open seating and are free. The reservations are mostly for us to get a sense of a head count. Please plan on coming early to find your perfect seats. The ABQ screening seats 300 and the Santa Fe about 200.